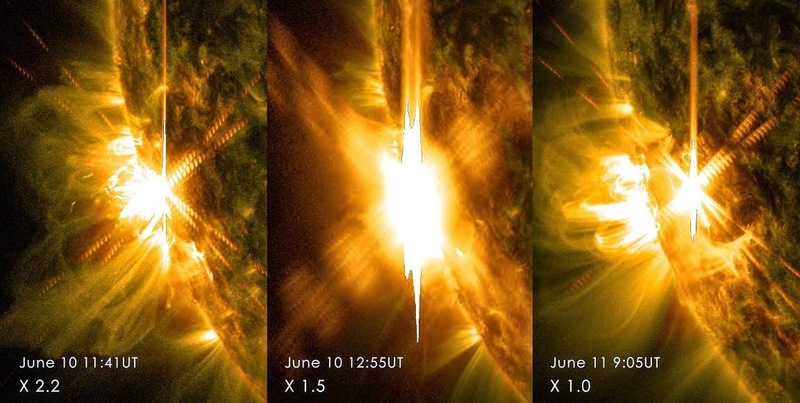 On June 11, 2014, the sun erupted with its third X-class flare in just two days. The flare was categorized as an X1.0 and it peaked at 5:06 a.m. EDT. 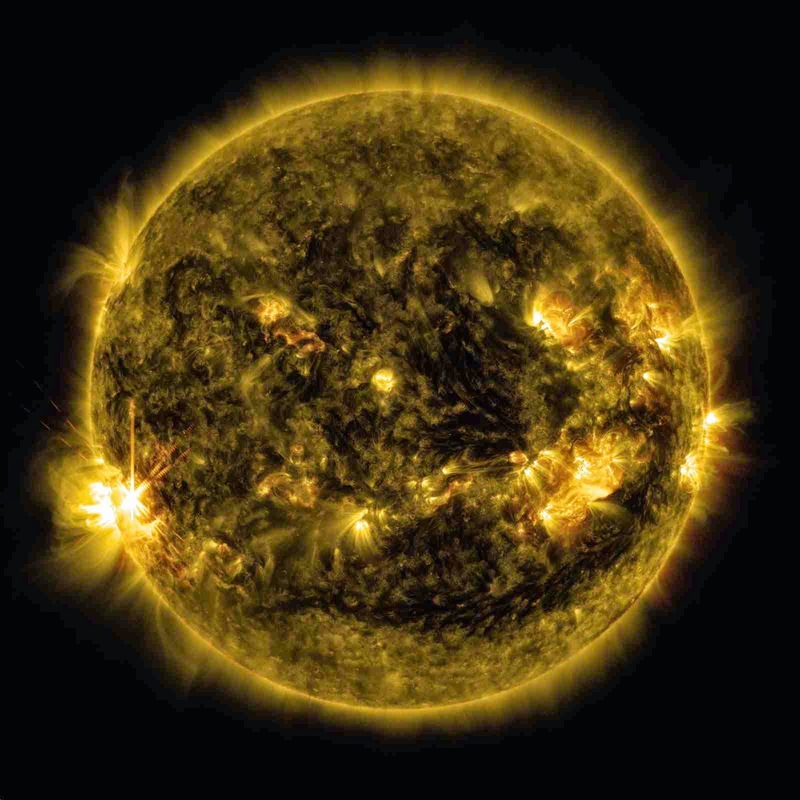 Pictures of the flare were taken by NASA's Solar Dynamics Observatory. All three flares initiated from an energetic area on the sun that lately revolved into view over the left limb of the sun. NOAA analysts estimate a 60% chance of M-class flares and a 30% chance of X-flares on June 12th. The probable source is sunspot AR2087, which has by now made three major outbursts since June 10th and is turning toward Earth. The double X-flare of June 10th may have formed a geoeffective CME in the end. At first it seemed that Earth was outside the line of fire, but a nearer look at the CME tells an Earth-directed component. Computer models run Wednesday by NOAA analysts propose the fused storm cloud will touch Earth mid-day on June 13th. The glancing blow could trigger polar geomagnetic storms. In the meantime, additional X-flares are in the offing. At least two sunspots i.e. AR2080 and AR2087 have unbalanced 'delta-class' magnetic fields that might erupt at any instant. The cause of Wednesday's X-flares, AR2087, is mainly strong, and it is turning toward Earth. Solar flares are powerful eruptions of radiation. Destructive radiation from a flare cannot pass over Earth's atmosphere to physically disturb humans on the ground. Though, when penetrating enough, they can interrupt the atmosphere in the layer where GPS and communications signals travel. To learn how this occurrence might affect Earth, please visit NOAA's Space Weather Prediction Center at spaceweather.gov, the U.S. government's authorized source for space weather calculations, warnings, watches and cautions.